For the second time in its five-year history, the U.S. Women’s Amateur Four-Ball will be played in Florida. The 2019 tournament will take place at Timuquana Country Club in Jacksonville, Fla., on April 27-May 1. Qualifying is ongoing for the two-woman team event and will continue well into the spring. The field will be formed in part by qualifiers from 30 sites around the country. Marissa Mar, who was the medalist and a semifinalist at the 2017 U.S. Women's Mid-Amateur, and who followed it up with a final 16 finish in 2018, teamed up with Lila Thomas to shoot 71 and medal at Las Colinas Country Club in Dallas, Texas. In the only international qualifier, the sister team of Maria Paula and Maria Alejandra Ferrer Alvarez shot a 70 to clear the field by four shots at Club de Golf Ballavista in Mexico City. Thuhashini Selvaratnam, runner-up to Meghan Stasi at the 2006 U.S. Women’s Mid-Amateur, is among the qualifiers for the U.S. Women’s Amateur Four-Ball. The native Sri Lankan has competed in more than 30 USGA championships, and will compete in this one alongside partner Mari Miezwa. The two led qualifying at Longbow Golf Club in Mesa, Ariz., with a 68. Lauren Gomez of San Diego and Olivia Yun of Carlsbad, Calif., led qualifiers at Western Hills Country Club in Chino Hills, Calif., with a round of 68. They were the only duo to post a round in the 60s in a qualifier in which five spots were available in the tournament proper. Gomez is an AJGA standout, having finished in the top 10 at the Swinging Skirts AJGA Invitational and Under Armous/Alison Lee Championship. Yu, meanwhile, frequently competes on the SCPGA Junior Tour. Two University of Florida teammates, Addie Baggarly and Sierra Brooks, cruised to a 65 at the LPGA International Jones Course in Daytona Beach, Fla., to easily qualify for the event. Jones, of Lake Mary, Fla., was runner-up at the U.S. Women’s Amateur in 2015 and played in the 2016 Curtis Cup. Baggarly, of Jonesborough, Tenn., has played the U.S. Women’s Amateur the past two years. Congratulations to Jonesborough native @addiebaggs and her @GatorsGolf teammate @sierrabrooks64 for earning medalist honors in qualifying for the 2019 @USGA U.S. Women’s Four-Ball yesterday. Kennedy Carroll and Rachel Rich, both of Mount Pleasant, S.C., led qualifying at Columbia (S.C.) Country Club, bringing in a 4-under 68 that earned that a spot in the Women’s Four-Ball. Rich, who attends high school at Oceanside Collegiate, won the Women’s South Carolina Golf Association Junior in July and Carroll, who goes to school at Bishop England, was the All-Lowcountry golfer of the year in 2017. Rich also earned first-team All-Lowcountry honors. A handful of Texas junior golf standouts have qualified for the Women’s Four-Ball. High school juniors Maddi Olson and Olivia Mitchell combined to shoot 3-under 69 at Walden on Lake Conroe Golf Club in Montgomery, Texas. They took the top spot while high school sophomore Melena Barrientos and her partner Calynne Rosholt had 71 to advance. Rosholt captured the Women’s Southern Amateur title this summer at 15. Shannon Johnson, fresh off her U.S. Women’s Mid-Amateur title, qualified for next year’s Women’s Four-Ball with usual partner Megan Buck, another Massachusetts resident. Even better, Johnson got to qualify on her home course, Thorney Lea Golf Club in Brockton, Mass. With both competitors fresh off match play appearances in the Women’s Mid-Amateur Championship in St. Louis, the pair continued to show why they are two of the top golfers in the Bay State when they played even par golf through each of the first seven holes before Johnson tallied birdies on both the par-5 eighth hole and par-3 ninth hole at Thorny Lea GC on Wednesday. Shannon Johnson & Megan Buck qualify for @USGA #USWFourBall for second straight year, Anne Walsh & Gabrielle Shieh punch ticket to first Championship on Wednesday at Thorny Lea in Brockton! Lauren Greenlief and Katie Miller kept their partnership from the 2018 U.S. Women’s Amateur Four-Ball, and qualified this year out of the Country Club of Petersburg (Va.). Miller, who has worked in several different industries while maintaining her golf game, had played with three different partners before pairing with Greenlief last year. The two missed the stroke-play cut. Greenlief, who won the 2015 U.S. Women’s Mid-Amateur, made it to the Women’s Four-Ball semifinals in 2016 with former partner Alexandra Austin. Greenlief and Miller also teamed up to win the Women's International Four-Ball last year. Greystone GC in Dickson, Tenn.
Cory Lopez and Avery Zweig teamed up to qualify out of Chaska (Minn.) Town Course. Lopez is a member of the Mexican National team who is headed to play for Arkansas in 2020. She won the Nick Faldo-hosted Major Champions Invitational in Montverde, Fla. Her partner Zweig was a Drive, Chip and Putt national finalist last spring. Meghan Stasi and Dawn Woodard will pair together again at the U.S. Women’s Amateur Four-Ball. The two have played together in all four of the previous Women’s Four-Balls. At the qualifier at the Golf Club of Edmond (Okla.), the pair had an 8-under 64 that got them safely into the tournament proper by a four-shot margin. Turtle Point Yacht & Country Club in Killen, Ala.
A pair of junior golf standouts from the Southeast went north to earn their spot in the field at Timuquana. Caroline Curtis, a two-time Virginia Junior Girls Player of the Year honoree, and Ashley Gilliam, a Mississippi State commit who has won the Tennessee Girls’ Junior two years in a row, teamed up to win the qualifier at Glen Ridge (N.J.) Country Club. The pair qualified with a 5-under 67, which left them five shots ahead of the next-best team. A couple of women’s golf stalwarts from the state of Oregon went north to claim the second of two qualifying spots out of Canterwood Golf & Country Club in Gig Harbor, Wash. Gretchen Johnson, who also qualified for the U.S. Women’s Mid-Amateur in the fall, and Amanda Jacobs, the Pacific Northwest Women’s Mid-Amateur champion, had a 71 then advanced out of a two-team playoff. Johnson is an accomplished speed golfer and Jacobs advanced to the quarterfinals of the 2016 and 2017 U.S. Women’s Mid-Amateurs. Last year, a pair of Colorado State women’s golfers took home the U.S. Women’s Amateur Four-Ball title. This year, another pair of Rams teammates will tee it up in the event. Haley Greb and Jessica Sloot combined to shoot 66 at Fox Hollow Golf Course in Lakewood, Colo., and earn a spot in the championship. Greb is a sophomore at Colorado State and Sloot is a junior. Sloot actually competed with Ellen Secor, one half of last year’s Four-Ball winning duo, in the 2016 U.S. Women’s Amateur Four-Ball. A couple of past U.S. Women’s Mid-Amateur champions joined forces to qualify for the Women’s Amateur Four-Ball. Kelsey Chugg, who won in 2017, and Julia Potter-Bobb, the 2013 and 2016 champion, combined to take the second of two qualifying spots at Forest Akers Golf Course in Lansing, Mich. Chugg and Potter-Bobb had 64 to finish one shot behind Haylin Harris and Valery Plata. Lyman Orchards Golf Club in Middlefield, Conn.
A current and past Loyola Chicago player combined to take the sole qualifying spot out of Prestwick Country Club in Frankfort, Ill. Rambler senior Elayna Bowser combined with former teammate Summer Moser to post 5-under 67 and finish two shots ahead of the next-best team. Mercer teammates Lauren Lightfritz and Payton Schanen opened the qualifying season as the first team to get in the field. The Georgia natives had 66 at Reynolds Lake Oconee in Greensboro, Ga. The two will be good representatives of Georgia golf considering that Schanen was the 2016 and 2017 Georgia Women’s Amateur champion and Lightfritz was the Georgia Junior Girls’ champion in 2015 and 2016. 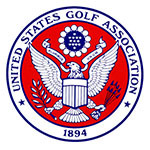 Conducted over 18 holes, sectional qualifying is held at sites across the United States from late summer to spring.